As approved distributors for TR Electronic Encoders we can offer the full range of programmable encoders at competitive prices and worldwide delivery. All TR Electronic encoders are made to order based on the individual article numbers or serial numbers. This includes ABSOLUTE – INCREMENTAL TR Elevtronic Encoders are available in SSI – CAM – PARALELL – ASI – ISI – ANALOGUE – INTERBUS – DEVICENET – PROFIBUS – SUCONET. We also have the latest programming tools for interrogation of software inputs and outputs. All repairs to TR Electronic Encoders are possible, subject to inspection of the unit. For more information on TR Electronic Encoders please contact our support team at 0121 378 5577. 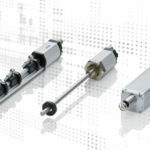 TR Electronic linear encoders acquire linear movements in machines, tools and installations according to your specific requirements with different technologies. If you are unsure of your TR Electronic linear encoders requirements please call our friendly and experienced customer support team on 0121 378 5577 or alternatively fill in the Contact Form and one of our team will get back to you. TR-Electronic rotary encoders with optical or magnetic scanning precisely acquire position in steel production, wind power plants, cranes and ships as well as in explosive proof versions in painting lines. 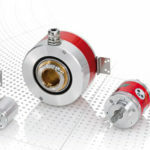 Miniature versions ensure the correct position in medical technology and SIL3 approved absolute rotary encoders ensure the necessary safety. If you are unsure of your TR Electronic Rotary Encoders requirements please call our friendly and experienced customer support team on 0121 378 5577 or alternatively fill in the Contact Form and one of our team will get back to you to talk about your TR Electronic Rotary Encoders requirements. Encoders UK have extensive knowledge in TR Electronic Encoders. All our TR Electronic Optical Encoders are used for demanding and harsh industrial motion control applications. If you are unsure of your TR Electronic Optical Encoders requirements please call our friendly and experienced customer support team on 0121 378 5577 or alternatively fill in the Contact Form and one of our team will get back to you to talk about your TR Electronic Optical Encoders requirements. TR Electronic incremental encoders are used in machines and installations in different resolutions. Thanks to their simple design, incremental encoders are more economical to manufacture than absolute encoders. If you are unsure of your TR Electronic Incremental Encoders requirements please call our friendly and experienced customer support team on 0121 378 5577 or alternatively fill in the Contact Form and one of our team will get back to you to talk about your TR Electronic Incremental Encoders requirements. If you are unsure of your TR Electronic Absolute Encoders requirements please call our friendly and experienced customer support team on 0121 378 5577 or alternatively fill in the Contact Form and one of our team will get back to you. 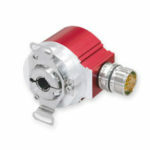 Encoders UK are distributors and suppliers of all types of TR Electronic Shaft Encoders. 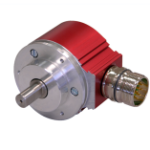 All our TR Electronic Shaft Encoders are available in hollow shaft and in shafted versions. If you are unsure of your TR Electronic Shaft Encoders requirements please call our friendly and experienced customer support team on 0121 378 5577 or alternatively fill in the Contact Form and one of our team will get back to you to talk about your TR Electronic Shaft Encoders requirements. If you have a TR Electronic Encoder that is beyond repair, don’t worry as we can offer a high quality alternative as a permanent solution. With great customer service and fast delivery Encoders UK can get your machine working swiftly to minimise downtime of production.